Production has started and will grow "exponentially" to 20,000 Model 3s per month by December. 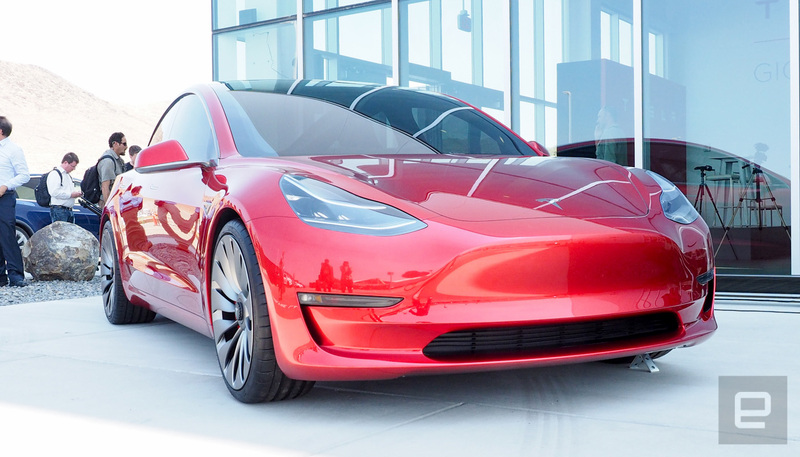 Tesla will start delivering its much-anticipated Model 3 EV this month, as promised. CEO Elon Musk tweeted that the company will have a "handover party for [the] first 30 customer Model 3s on the 28th." He added that production will grow exponentially, "so August should be 100 cars and September above 1,500." By December, the company will be building 20,000 Model 3s per month, he said in a subsequent tweet. The goal is to produce up to 10,000 Model 3 EVs per week by 2018. Musk tweeted that the "Model 3 passed all regulatory requirements for production two weeks ahead of schedule," adding that the factory will produce its first car by the end of the week. "Expecting to complete SN1 [serial number one] on Friday," he added. Even 10,000 EVs week might not be enough, as the company's website is currently promising a "mid 2018" delivery date for new orders. That means that the company will need to plow through its estimated 400,000 unit backorder in 12-15 months if it wants to ship new Model 3 pre-orders by then. That could be a challenge, because Tesla was late with the production of its last EV, the Model X, and had some production glitches with its rear seats, those weird doors and the parking brake. At a recent shareholder meeting, he admitted that Tesla tried to do too much with the first version of the Model X, and wouldn't repeat that mistake with the Model 3 or future Model Y. The Model 3 starts at $35,000 and has an average order price of around $42,000. 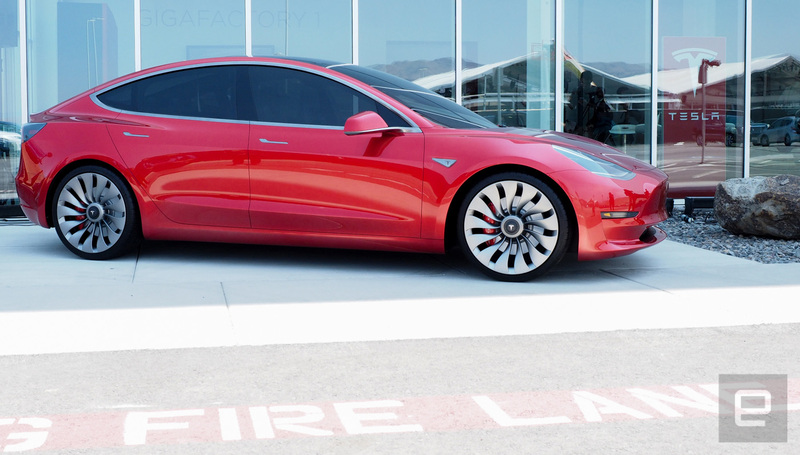 If Tesla meets its production goals, the Model 3 would easily become one of the top twenty best-selling vehicles in the US in 2018, ahead of much cheaper gasoline cars like the Hyundai Elantra and Nissan Sentra. The first customers to get the Model 3 will be employees and owners of current Model S and Model X vehicles, and after that, it'll depend on your place in the pre-order queue. Elon Musk said in May that Tesla will open 100 new "retail, delivery and service locations" to keep up with sales, repairs and service. The Model 3 won't have the "ludicrous" 2-second 0 to 60 mph acceleration time of the Model S, but it will scoot to that speed in 5.6 seconds. That gives it bragging rights over Chevy's Bolt, which can go from 0 to 60 in 6.5 seconds, still a very respectable time for an "economy" EV. Tesla will also build a quicker "D" version with dual motors, promising first dibs to buyers who placed pre-orders for the regular Model 3.